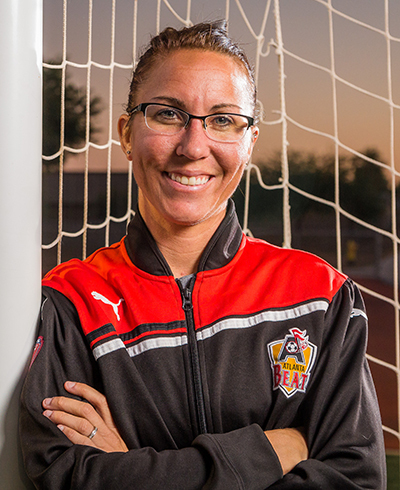 Despite last year’s struggles, Maricopa High School girls’ soccer head coach Mallory Miller has great expectations for her veteran team this season. “I always have high expectations for my girls each and every year,” Miller said. “I have learned from coaching over 20 years that if you set your expectations high and hold your team to those expectations, then they will continue to rise to each and every occasion. I want us to compete as a complete team, not individually, each and every game. The girls’ soccer team will be facing difficult competition. The Lady Rams have been placed in Arizona Interscholastic Association’s Division II Section IV. This division will be shared by perennial power programs Skyline High School, Queen Creek High School and Mesa High School, which happens to be one of the five largest schools in Arizona. However, this is the division the girls’ team chose to compete in. “The girls’ soccer was moved down (to Division III), but petitioned to go back up (to Division II),” MHS boys’ soccer head coach Cortney Kellenaers said. If the Lady Rams are going to compete with the larger schools, they will need standout performances from their veteran players. Seniors Joann O’Hare and Andrea Perez will likely step into a leadership role for the young group of Rams featuring nine juniors, eight underclassmen. 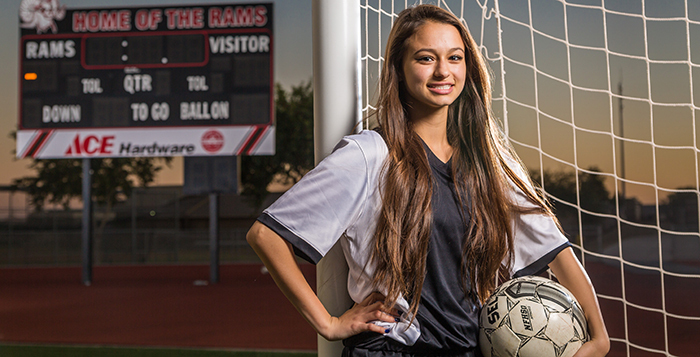 The girls’ team will kick of the season Dec. 3 at home against the Vista Grande High School Spartans at 6 p.m.